A time to be born.... Minister Richard “June’’ Walker III was born to the late Reverend Richard Walker, Jr and Margaret A. Walker on August 3rd, 1954 in Suffolk, Virginia. He joined this earth with his sister Cynthia Walker (Mack) already arrived and preceded his brothers Dennis and Charles. They all called Pine Street and Blythewood Lane in Suffolk home throughout their life. A time to live…. After his formative years, Richard served his country in the United States Army as a Field Lineman where he completed an overseas tour in Korea and then was honorably discharged at Fort Carson, CO. Richard retired from American GFM Corporation as a Machinist. Richard’s call to ministry started later in life, and through ministry, he inspired others. 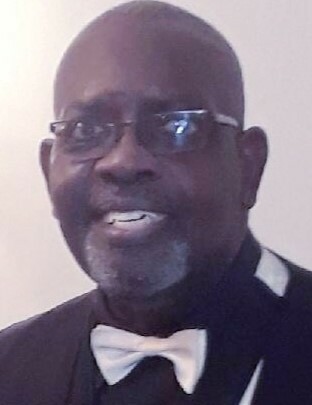 He was known for his avid participation in the corner ministry under Zion Bethel UCC in addition to the ministries of street, hospital visitation, prison, drug, radio, and telephone of W.O.W. Gospel Ministries to name a few. His church home was Bethany Baptist Church in Chesapeake, VA under the stewardship of Pastor Harold Patrick Cason. A time to pass on to glory…. On Tuesday, August 28th, 2018 God dispatched one of his mightiest angels to claim our beloved Husband, Father, Grandfather, Brother, Son, Uncle, and Friend. Richard was preceded in death by his Father, Richard Walker, Jr, his two Brothers Dennis L. Walker and Charles A. Walker, and two Sons, Christopher C. Pierce, and Earl Pierce. A time to mourn and reflect….Richard leaves to cherish his memories his beloved wife of 24 years, Jacquelyn Walker, his two daughters Tamara D. Walker of Columbia, SC and KiAnna N. DeVille (Stephan) of Bowie, MD,; a Granddaughter, Solim D. Kodom; two daughters, Farun D. Etheridge (Bernard) of Norfolk, VA and Georgia M. Hill of Suffolk, VA; two sons, Curtis D. Pierce (Kimberly) of Norfolk, VA, and Kevin Pierce of Killeen, TX; three Grandsons, Jacob and Jordan Pierce, and Michael Holloman; two Granddaughters, Shavon Pierce and Calvetta Taylor; his Mother, Margaret A. Walker of Bloomfield, CT, his Sister, Cynthia L. Mack (Samuel) of Bloomfield, CT; two Nephews, Dennis L. Walker and Anthony L. Walker, three special Brothers, Ernie Williams, Laurence Holloway, and Brother Chris as well as a host of family and dear friends. 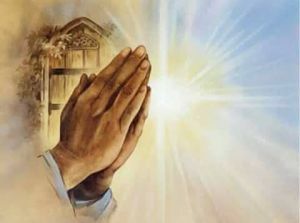 A time to Heal….” I will bless the Lord at all times: His praise shall continually be in my mouth.” Psalm 34:1. This was the praise that Richard shouted on the phone when he picked up, when he sat down to eat, when he rose up in the morning and before he closed his eyes at night. The family takes solace that when Richard rose up on that “Great, getting up morning”, “His Lord said unto him, Well done, thou good and faithful servant: thou hast been faithful over a few things, I will make thee ruler over many things: enter thou into the joy of thy Lord.” Matthew 25:21.